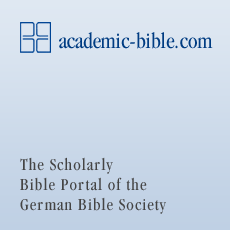 To this day, the Biblia Hebraica Stuttgartensia (BHS) is the only complete scholarly edition of the Hebrew Bible, with all important text variants and suggested corrections presented as footnotes. It is the successor of the Biblia Hebraica, edited by Rudolf Kittel. The Nestle-Aland Novum Testamentum Graece is the critical text of the Greek New Testament suitable for study and research, as well as for church and school use, in a compact, affordable edition. The latest, 28th edition was published in 2012. The Greek New Testament provides the foundation for translations of the New Testament worldwide. It presents to its users a reliable Greek text, and for selected passages – wherever significant variants exist in the New Testament manuscripts – elucidates the course of its development. The Septuagint edition by Alfred Rahlfs has been an important basis of worldwide Septuagint research ever since it was first published in 1935. This edition was revised by the internationally renowned Septuagint researcher Robert Hanhart in 2006. Today’s definitive scholarly text of the Vulgate is the “Biblia Sacra Vulgata. Editio quinta.” edited by Robert Weber and Roger Gryson. This edition comprises the elaborately reconstructed Latin text of the Bible, with an extensive apparatus of variants.